The GSMA today announced that six cities are competing to host the GSMA Mobile World Congress event starting in 2013. Amsterdam, Barcelona, Cologne, Milan, Munich and Paris have been named candidate cities who are vying to become the home of Mobile World Congress for the five-year period from 2013 through 2017. The GSMA expects to identify a short list of finalist cities in January 2011 and to complete the evaluation process and to announce the host city in mid-2011. The Mobile World Congress is widely considered the industry’s “must-attend” event and is expected to draw more than 50,000 visitors at the 2011 Mobile World Congress, which will be held in Barcelona 14-17 February, 2011. The four-day conference and exhibition attracts executives from the world’s largest and most influential companies across the mobile industry and adjacent sectors, as well as government delegations. 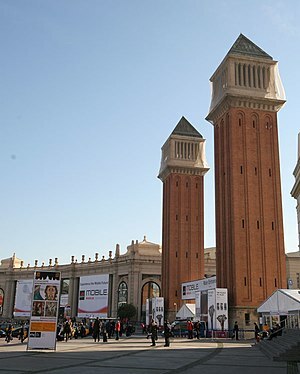 The Mobile World Congress has been held in Barcelona since 2006 and the city will continue to host the event through at least 2012.